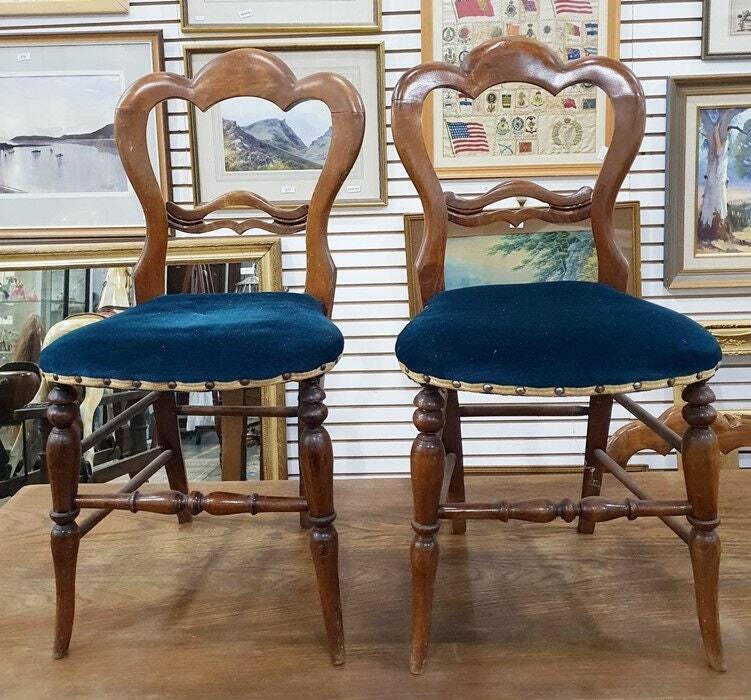 Pretty trefoil shape back Victorian mahogany dining chairs, set of six with rich blue velvet seats. These are in useable condition but you might prefer to recover them to your taste. Our courier service covers most of mainland England and Wales EXCEPT CORNWALL with an average delivery time of 2 weeks. 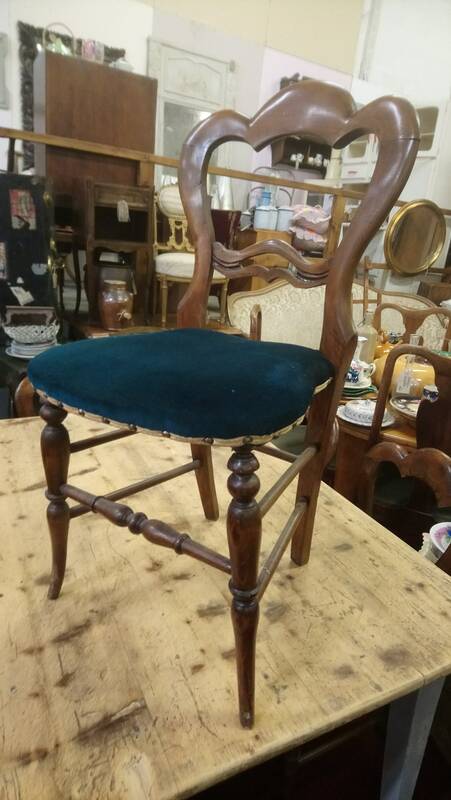 Please send postcode for confirmation of cost and availability, the courier cost is included in the price of the chair for the majority of postcodes. If you would prefer to collect please ask for a custom order. We do not ship offshore or outside of the UK mainland. This item can be collected from our shabbychicshac shop in Bromsberrow, Herefordshire HR8 1PG by appointment.